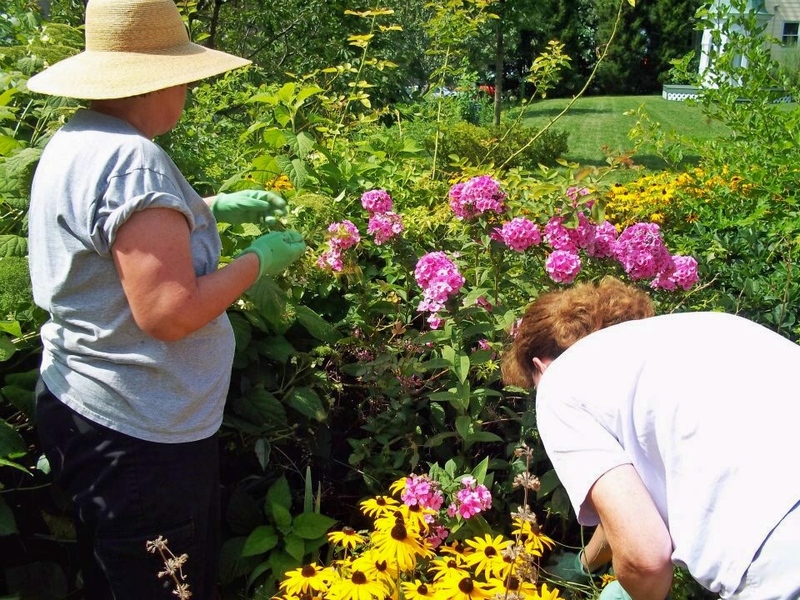 Although Shirley Place may no longer comprise its original 37 acres of land, its current grounds, gardens and orchards provide a serene retreat from the neighboring urban Roxbury landscape. Both Lady Frances Barker, wife of William Shirley, and Caroline Langdon, wife of William Eustis, were known for their keen landscape interests. Although research cannot yet determine the extent to which either woman impacted the landscape of Shirley Place, the latter is known for tending to her flowers, some very rare, and for being one of the few females of her time to exhibit at the Massachusetts Horticultural Society. MHS records indicate she showed, over a number of years, fine orange and lemon trees and other plants, a specimen of Sweetwater grapes of outdoor culture and a large basket of peaches. In 1842 she exhibited Bartlett Pears, possibly influenced by her close neighbor Enoch Bartlett. During the forty years Madam Eustis lived at Shirley Place after her husband’s death in 1825, Roxbury evolved into one of the great garden communities of Boston. Many of Mrs. Eustis’ neighbors continued to be prominently involved, as gentlemen farmers, in horticultural and agricultural pursuits, as had earlier Shirley Place owners Eliakim Hutchinson and James Magee. 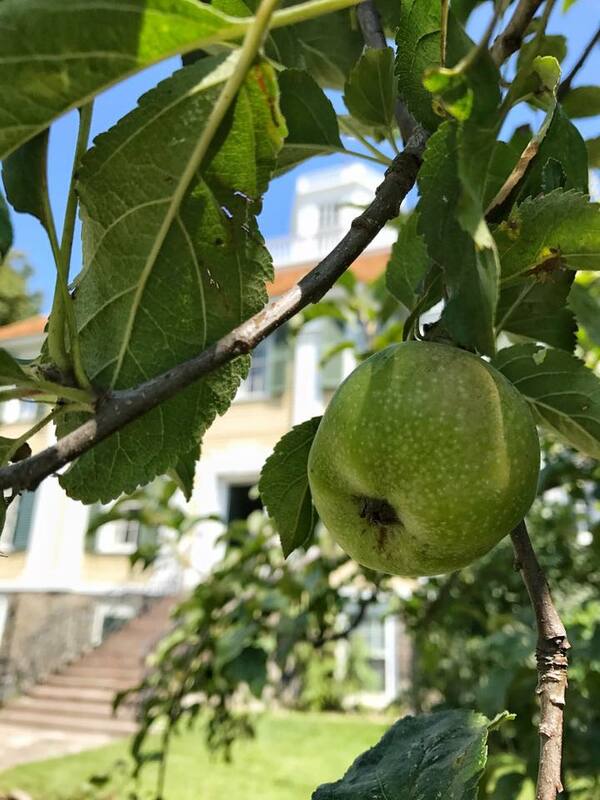 Today our elegantly landscaped grounds interpret historic elements in a representative manner and capture a glimpse of Roxbury's rural and affluent past for the enjoyment of local neighbors as well as visitors from afar. The Mansion’s forecourt pays homage to the original design , the perennial beds contain flowers used during the lifetime of Madam Eustis, the rear entrance parterre gardens echo New England Garden plans of the 18th century. 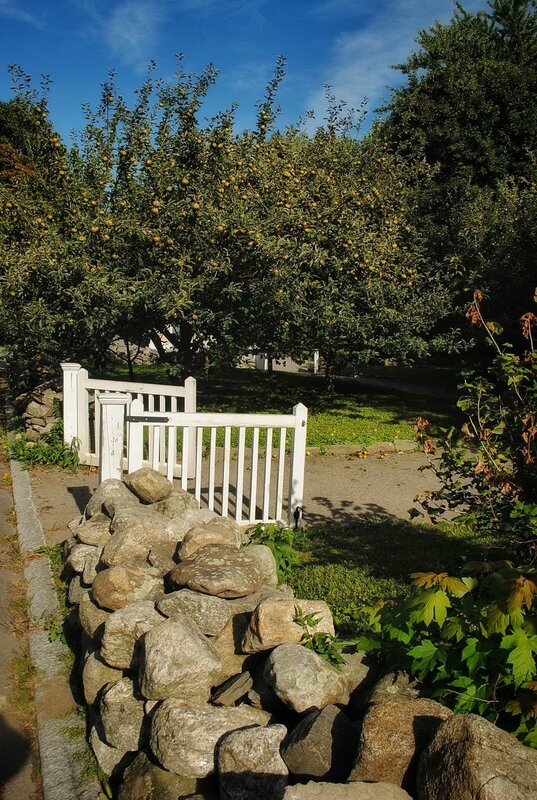 In the early 2000’s SEHA planted an orchard of historic varieties of fruit trees, including varieties of Roxbury Russet apples as well as pears. Over the past two decades funding for Shirley Place’s Historic Landscape Enhancement projects has largely been made possible by generous donations from, among other organizations and individuals, the Barr Foundation, The Beacon Hill Garden Club, The Brookline Savings Bank, The Edward C. Johnson Fund, The Edward Ingersoll Browne Fund, The George B. Henderson Foundation, The Harold Whitworth Pierce Charitable Fund and the Mabel Louise Riley Foundation. Please visit our Rentals page if you are interested in using our grounds for a private event.